Whether you’re a brand-new mama who equates showering with insta-chic or a veteran parent who can’t so much as pee alone, it’s hard not to look at put-together moms like Gwyneth Paltrow and Michelle Obama and wonder how they find the time to look so amazing. Answer: an entourage of stylists and makeup artists. But even if your entourage only consists of little ones, these quick tips will help you look paparazzi-ready in a flash. Set up a beauty station by the front door. Ever dash out of the house only to catch your reflection later and wince? To the rescue: Set up a mommy beauty station by the door. Simply hang a mirror and fill a basket (ideally out of reach to your kiddos) with your get-ready-quick essentials. 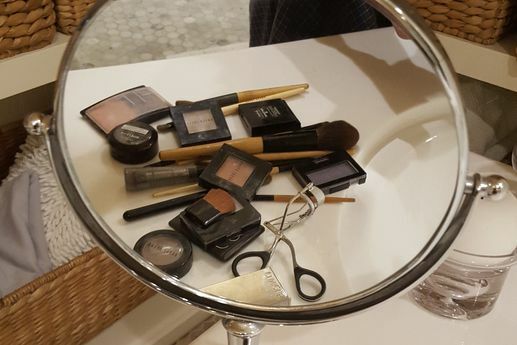 A few suggestions: a hairbrush and dry shampoo to instantly upgrade your locks, concealer to mask any under-eye circles, blush or bronzer for a sweep of color, mascara to open up your eyes, and a box of facial tissues for quick beauty touchups. Add stylish accents to your go-to outfits. Guess what? You can maintain a uniform of cotton shirts and jeans as long as you accessorize smartly. A colorful, patterned scarf can add interest to a V-neck and boyfriend jeans (not to mention mask any spit-up or food stains). Skinny jeans and a plain top are instantly date-night-ready with a touch of costume jewelry and glam heels or fun flats. Invest in easy statement pieces, like a bright blazer, you can throw on before a parent-teacher conference that will instantly elevate your ensemble. Ah, if only you had the time to labor over creating the perfect cat eye. 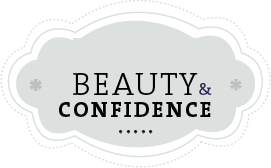 But you’d be surprised how far a minimal look -- with minimal products -- can go toward boosting your confidence. Opt for multitasking makeup, like a BB cream, an above-and-beyond tinted moisturizer that also contains SPF, antioxidants and other antiaging components. Instead of stressing out about perfectly applying lipstick, opt for a simple tinted lip gloss or stain. If you’re constantly on the go, an eyelash curler can do wonders to instantly give eyes a lift without the mess of mascara. If your beauty budget has given way to a college fund, take note: There’s a treasure trove of goodies already in your nursery. Use your little one’s lotion for the eau de bébé that everyone absolutely loves. Your baby’s chemical-free shampoo will leave your hair super-soft without stripping it of essential oils. Can’t find time to shower? Even if you don’t use baby powder at the changing table, dabbing it on your scalp and the shiniest areas of your hair can hold you over in between washings. You may have been up all night running tissues and cold compresses to your child, but you’ve still got to show up to that staff meeting this morning looking a little more human. In between dispensing doses of cough syrup and medical advice to the babysitter, you can pull off a sophisticated, office-appropriate look in five minutes. Bonus: You may even have time to brew yourself a cup a tea. Tinted moisturizer camouflages a red nose and dark circles. With your fingers, smooth an illuminating formula over any inconsistencies, patting a little extra at the under-eye area. Do the same on any stress blemishes that may have popped up overnight. First, line the upper lash line; use a deep brown shade for a more natural finish. Then curl lashes and apply two or three coats of volumizing mascara to the upper lashes. (Tip: To avoid clumps, circle the wand as you take it out of the tube, which removes excess formula.) Dab a light-reflecting concealer at the inner corners of your eyes for a wide-awake look. Trust me when I say this: A peachy blush stick is every woman’s best friend. The color adds a bit of glow to any skin tone. Choose a formula with a hint of shimmer for extra radiance. Apply it to the middle of the cheekbones and at the brow bone; blend in with fingers. Deep red lips scream confidence. Slick on a lip stain for serious stay-put power. Plus, a true red with blue undertones will also brighten a dull smile. No time to fuss with your blow-dryer or curling iron? Sweep your hair in a chic chignon for instant sophistication. Part your hair down the middle, gather it at the nape of the neck and fasten with a non-slip holder. Divide the ponytail in two sections. Coil the first around the base and fasten with a bobby pin. Repeat with the second section, tucking the ends underneath the elastic. Spritz with a stronghold hairspray. Nothing says pulled-together like a well-cut jacket. Place a black or navy blazer over any top for instant polish, and add a scarf for a pop of color. We all have our favorite tried-and-true shades and products in our daily makeup routine. But if you’ve been using the same eye shadow or lipstick since high school, it’s time for a change. 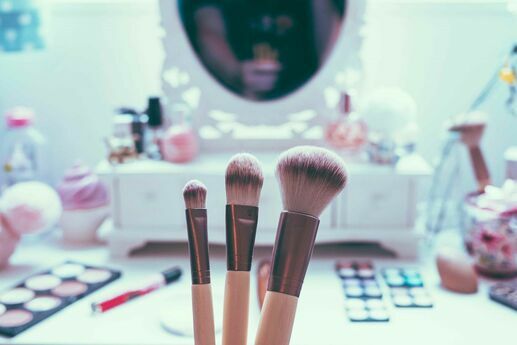 Switching up your makeup is one of the easiest ways to update your look -- without having to invest in a whole new wardrobe. Fortunately, there are a number of new hot-off-the-runway trends, like bold lips and pops of pastel, which are both fun and wearable. 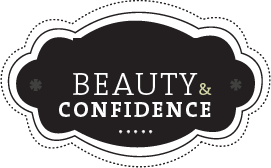 With my tips for makeup application, you’ll be able pull off a fresh new look -- without much effort. A colorful pucker is one of the easiest ways to brighten up your entire face. But what if that fire-engine red lipstick makes you feel more clownish than couture? Opt for a poppy or coral color. These shades have the same oomph, but they’re more versatile -- and they won’t overpower your face. To take the vibrancy down a notch, swipe on your lipstick in a thin layer. Blot after each swipe with facial tissues, which are gentle on lips’ sensitive skin Then reapply; repeat until you reach your desired shade. Or make your own tinted lip balm for a gentle glow: Using a well-sharpened pencil instead of lipstick, lightly sketch color onto your lips. Then blend all over with a lip balm. Revlon has an excellent selection of lipstick options available on Amazon. For a summery twist, consider using one of the pretty Easter egg–hued eye shadows that are popping up at makeup counters. When done right, these shades can add dramatic pop of color or create a subtle, romantic smoky-eyed look. At the drugstore or makeup counter, look for a shimmer instead of matte shadow. Because these products contain less pigment, they’re easier to blend and produce a more subtle effect. How to apply: To keep the shadow from falling under the eyes or onto your cheeks, place a facial tissue beneath your eye to catch any of the loose powder. Then brush a thin layer of shadow across the entire lid. 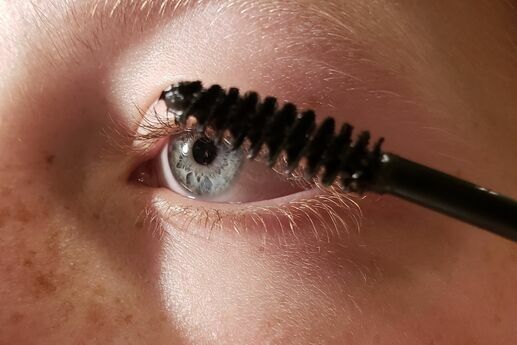 Moving the brush back and forth, blend a second layer into the eye crease. Finally, add a little highlighter (a lighter shade) to the brown bone and the inner corners of your eyes. Another way to wear these popular pastels: on your nails. The next time you’re in the drugstore, pick up a light green, yellow, pink or purple shade to instantly give your outfit a summery twist. To go one step further, try an embellished nail. Although these designs look time-intensive, the application is surprisingly easy. Start by selecting two shades of peach polish. Paint your nails with the base shade. Once that layer has dried completely, take a toothpick and dip it into the other accent color. Dab off excess polish facial tissues, making sure that only a small amount is left. Paint dots onto your nails carefully; make sure to evenly space them out. Wait until the dots are dry, and then paint over the entire nail with a top coat. This season, all-over bronzer has taken a backseat to a blushing glow. But applying this look the old-fashioned way can miss the mark. That’s because powder blush is more visible, making radiant skin appear dull. I suggest using a cream blush because you can control how much and where the product is applied. With two fingers, dot the blush onto the apples of your cheeks (to find them, smile). Then move your fingers in a circular motion to blend the dots of color into your skin. To make it look completely natural, go back with soft facial tissues, which will protect delicate skin on your eyes and cheeks, and smudge the blush even more.